Brett Prescott is a senior executive at Facebook & Instagram who oversees a global team that develops long-term strategic partnerships with the world’s largest advertisers. Students enrolled in courses taught by Brett will learn the latest strategies and innovations in tech, management, consulting, marketing and advertising driven from his experience in and out of the boardroom. Coursework will provide students with the skills needed to succeed as leaders in today’s quickly-changing business landscape. At Facebook, Brett consults brands and fortune 100 CEOs, CMOs and CTOs to create and implement digital transformation agendas that enable businesses to thrive in a mobile-first world. 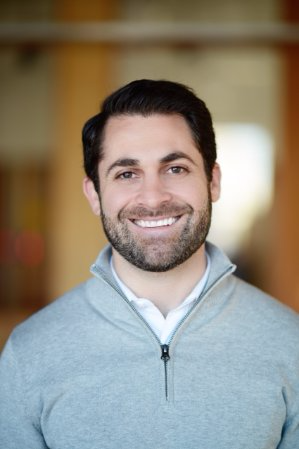 For the past 6 years at Facebook, he’s lead teams that have shaped how marketers shift strategies and build innovation to embrace mobile advertising, mobile video, messaging, virtual and augmented reality, and eCommerce. This collaboration includes developing marketing campaigns and product innovations across Facebook, Instagram, Messenger, WhatsApp, and Oculus. Courses taught help NYU Stern students accelerate their understanding of the evolving leadership challenges that today’s startup founders, marketing leaders, technologists, consultants and digital leaders face. Students will research, debate and discuss real-life challenges, opportunities and strategies. He is committed to supporting the great work being done by students at NYU Stern School in delivering a high-quality education. Brett has lectured at NYU Stern since 2015. Courses that Brett has lectured in include; Marketing, New Media and Marketing, Marketing Planning and Strategy, Advertising Management and Consumer Behavior.